Faith is a great binder in India. A land where almost every religion in existence on the planet is revered, spirituality and religios sites makes for one of the most popular themes for travel. This list of top 10 spiritual sights in India talks about the 10 most revered and visited religious sites in India. 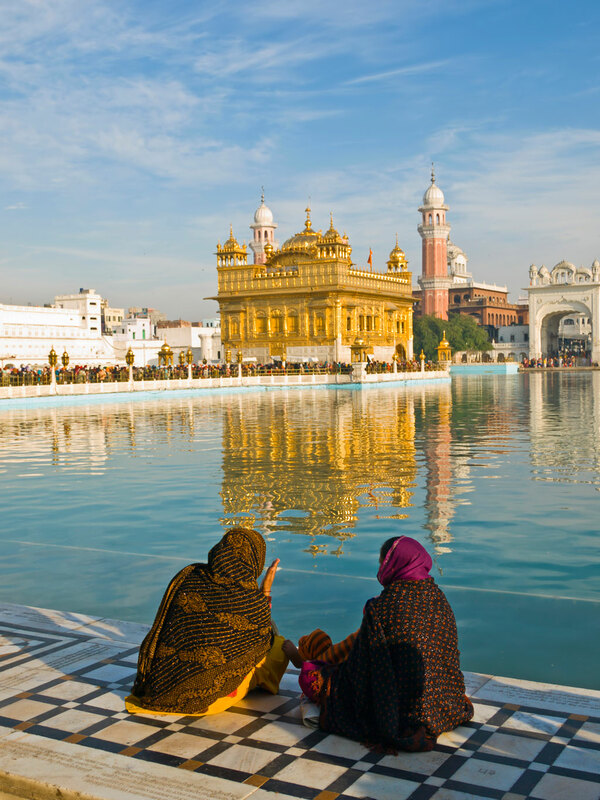 From the ancient temples to the medieval sites associated with saints and from Sikh shrines to the holy mountains, take your pick from the top 10 spiritual sights in India to pay reverence to the almighty, have your wish granted or to seek salvation. 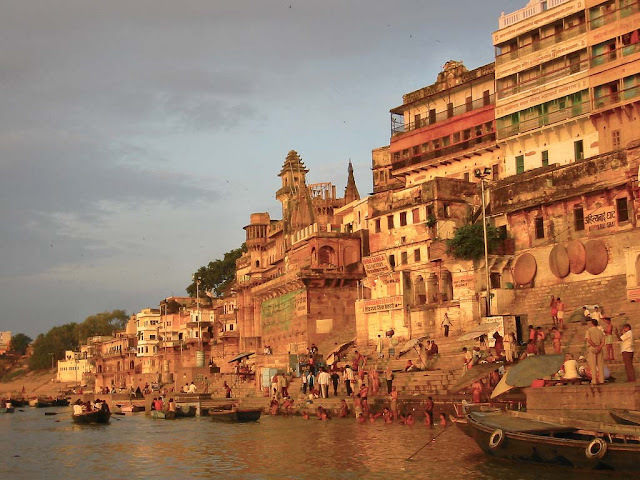 As old as time itself, Varanasi is often called the spiritual nerve centre of Hinduism. Legend has it that the city was created by lord Shiva much before the creation of earth and is believed to have been standing on his mighty weapon ‘Trident’. The most alluring feature of this temple town is the bathing ghats by the bank of river Ganges. Tourists can enjoy a boat ride on river Ganga and can experience the regular din while traversing the local streets of Varanasi. One of the must visit spot in Varanasi is Kashi Vishwanath temple which has gained importance as the jyotirlinga of Lord Shiva. Don’t forget to partake in the evening Ganga Aarti that take place on Dasashwamedh Ghat. The entire panorama is a sheer sight to behold where small lamps adorn the river Banks and kids in saffron robes chant the Vedic mantras. The place where Gautama attained enlightenment to became Buddha after three days and three nights of meditation under the Bodhi tree; Bodhgaya is an important pilgrimage site in India. 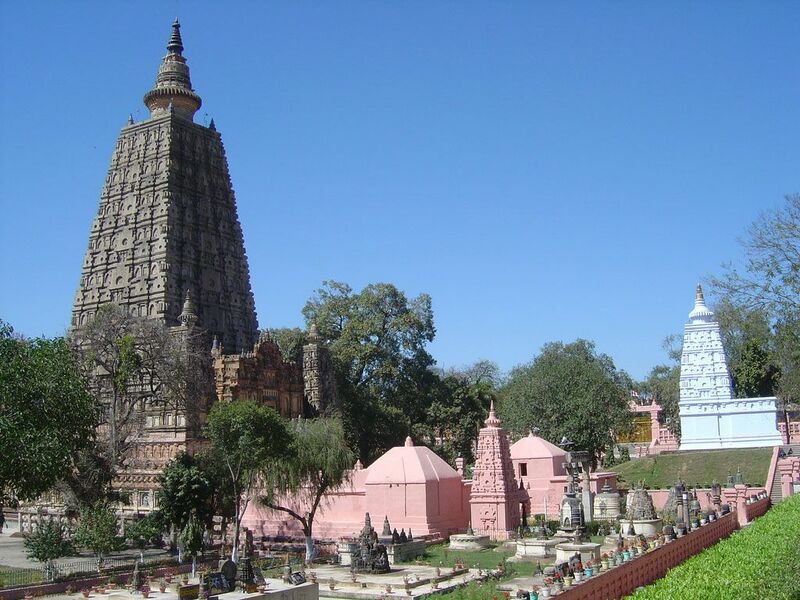 The Mahabodhi temple complex housed in this Buddhist town is the most famous monastery and a UNESCO World Heritage Site. Besides Mahabodhi temple complex, there are several other Buddhist monasteries built by people from different nations such as Nepal, Bhutan, China, Sri Lanka, Myanmar, Japan and Thailand among others. Every year the day of Buddha’s enlightenment is celebrated in Bodhgaya as Buddha Purnima. One of the most hallowed Sikh shrines in India, Harmandir Sahib or the Golden Temple is visited by scores of Sikh pilgrims to pay obeisance to almighty. The panoramic view of this temple in the night will give you the notion of a sparkling golden heaven lying in the midst of a lake. In the day time devotees visit this place for prayer and to take bath in the Amrit Sarovar. Pilgrims are provided with free meals at Guru-ka-Langar, where devotees of different religions and diverse faiths sit together and eat the ‘prasad’. The holy shrine of Mata Vaishno Devi is the second most visited Hindu pilgrimage site in India after Tirumala. The shrine is dedicated to Goddess Vaishnavi who is believed to be the manifestation of spiritual strength of Goddess Maha Saraswati, Mahalakshmi and Mahakali. Situated in the inner folds of Trikuta hill, the cave temple requires a spiritual trek of around 14 kilometers. The constant chanting of ‘Jai Mata Di’ throughout the trek fills the ambience and souls of pilgrims with impalpable energy that relinquish all the fatigue of this arduous pilgrimage. 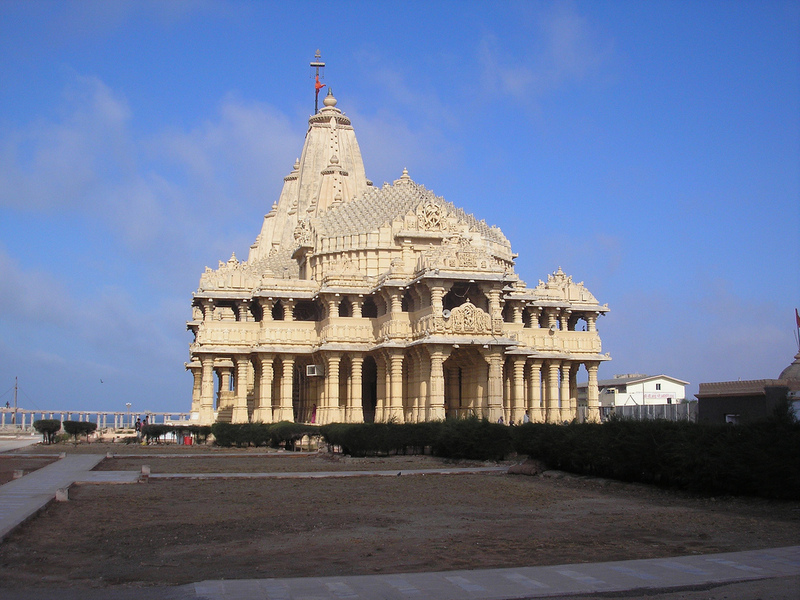 The first jyotirlinga of Lord Shiva, Somnath temple is located in the Junagarh district of Gujarat. The literary meaning of Somnath is ‘Lord of the Moon’ and legend has it that this temple was built by Moon God after Lord Shiva partially relieved him from the wane curse of Prajapati Daksh stating that he will periodically wane for 15 days and will start waxing for next 15 days. The temple is visited by various people from different parts of the state and the country. The temple has been plundered by various foreign invaders over the course of history owing to its immense wealth prior to its last restoration in 1947. The revered shrine of Ajmer Shariff is one of the foremost examples of India’s religious tolerance and symbolizes inter communal harmony between different religions. The shrine is dedicated to the Sufi saint Khwaja Moin-ud-din Chisti whose grave is situated in dargah complex. The shrine has three entrance gates, namely Shahjahani Gate, Buland Darwaza and Nizam Gate, each of which was erected by Mughal emperors and Nizam of Hyderabad respectively. 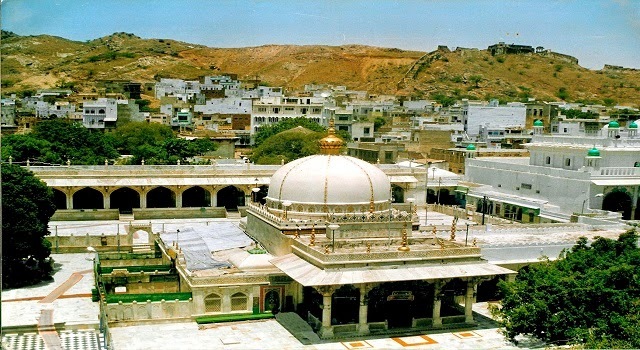 The best time to visit Ajmer Shariff is Urs festival which is held every year to commemorate the death anniversary of Khwaja Moinuddin Chisti. One of the most revered pilgrim center for Hindu devotees especially Shiva bhakts, Amaranth is a pilgrimage where the three-eyed lord dwells in the form of an ice lingam. The ice Shiv linga situated inside the cave starts waxing from the very first day of the lunar month and takes its full shape on the full moon day. 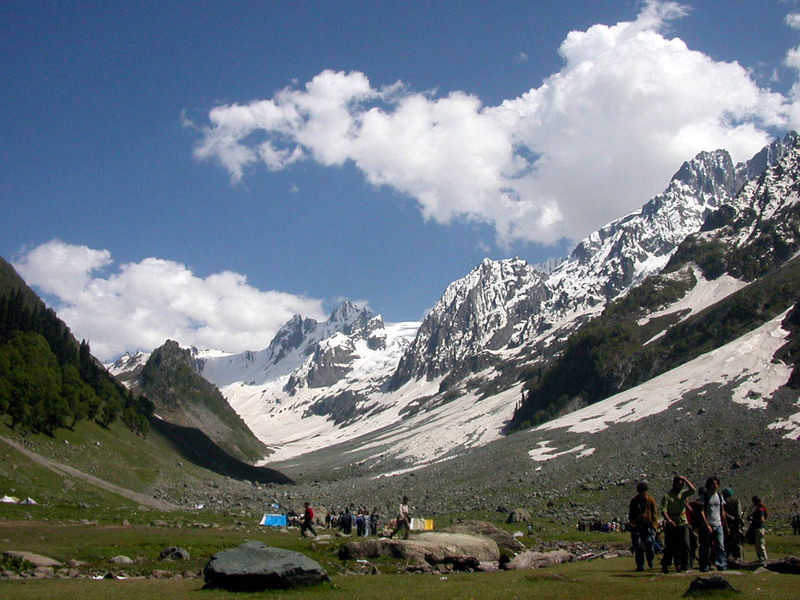 Legend has it that it is the site where Lord Shiva uttered the secrets of immortality to his divine consort Parvati. During this long challenging trek, what inspire the souls of pilgrims are the echoes of the constant chanting of the name of Lord Shiva. The literal meaning of Haridwar is the ‘Gateway to the Lord Vishnu’ and the city itself features among the four religious towns where the drops of divine nectar spilled out from the pitcher. 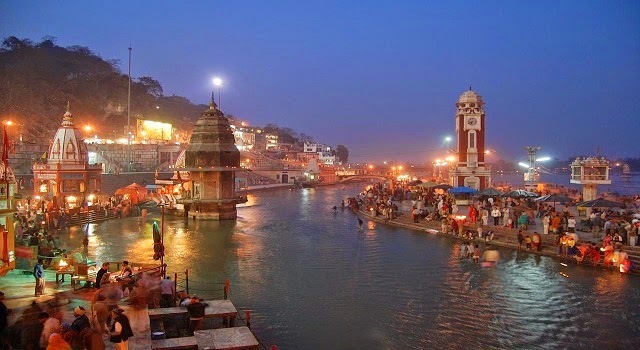 Nestled in the foothills of Himalayas in Uttarakhand, Haridwar is a place where the sacred river Ganga flows. Mythology says that Lord Vishnu left his footprints at this place while protecting divine nectar from the hands of demons. Besides religious significance, the holy town possesses beautiful scenery and lush greenery and provides source to the Ayurvedic and herbal remedies. Not exactly in India but Kailash Mansarovar, one of the most sacred Hindu pilgrimage site, does feature in our list of top 10 spiritual sights in India. Sacred to Hindus, Buddhists, Jains and Bons alike, Kailash Mansarovar Yatra Tour is an important pilgrimage located at the source of some of the most important Asian rivers. 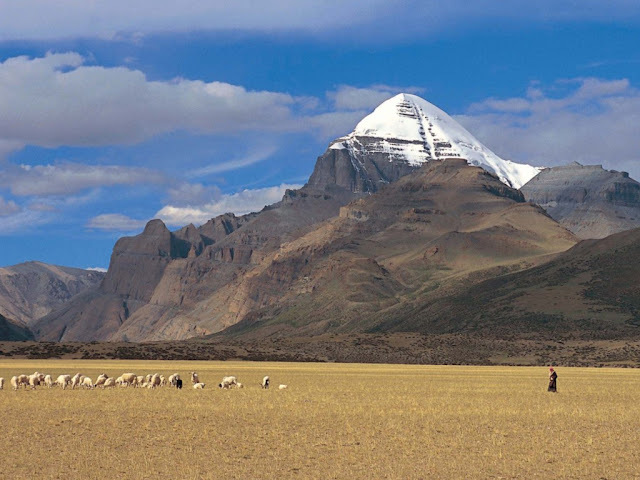 Recently, Mount Kailash has also become a pilgrimage for the trekkers. According to Hindu legend Mansarovar located on Mount Kailash is the source of all creation for it is here that Supreme God Bramha meditated before creating the universe and all beings. Every year thousands of Hindu pilgrims embark on the pilgrimage to Mount Kailash to pay obeisance to lord Shiva who is said to have explained creation to his consort Parvati on Mount Kailash. But it not just the Hindus, Buddhist also believe that it is the manifestation of Sakyamuni Buddha whereas the Jains believe that it is the site of their first saint Adinath’s emancipation. 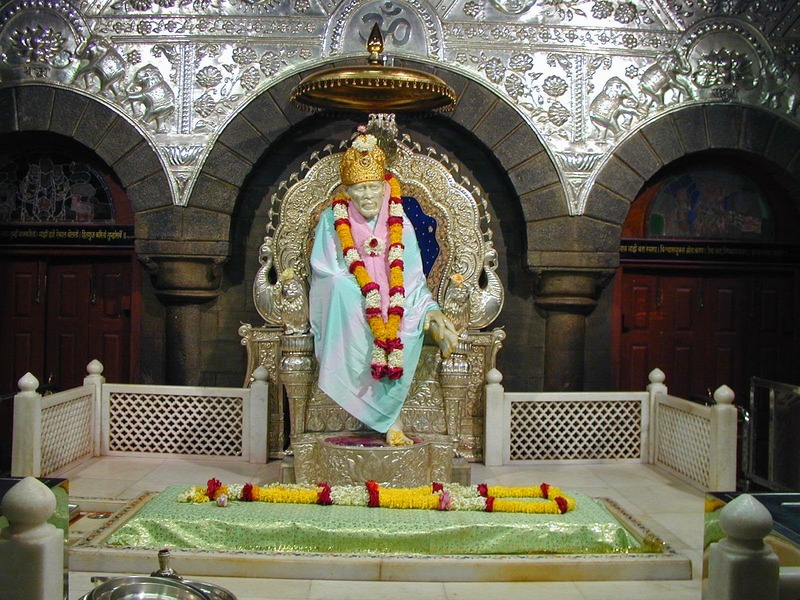 Not many saints in India have achieved as much reverence as Sai Baba of Shirdi. Undoubtedly one of the most beloved saints of India, Sai Baba is revered by people of all caste, creed, color and religion. A little known village, Shirdi suddenly mushroomed into an important pilgrimage for many due to the charisma and miracles of Sai Baba. Thousands of tourists from all around the world visit Shirdi to pay homage and catch the glimpse of the place where Sai Baba once lived. Whether its Gurusthan tree under which Baba was first seen in a meditating posture or the two-storeyed mosque Dwarakamai where Baba resided for near about sixty years, each and every place still looks very much alive even after the passing away of this holy saint.